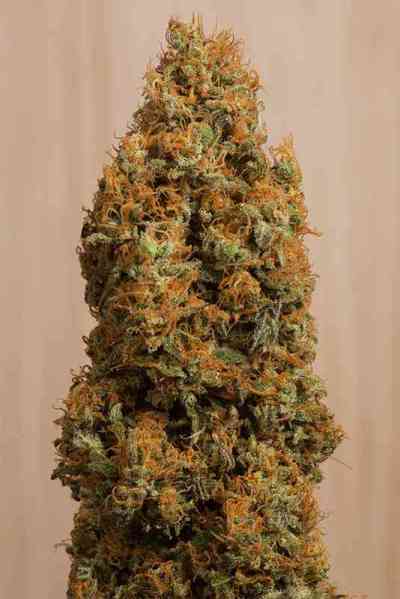 Green Crack CBD by Humboldt Seed Organization is the result of many generations of meticulous selection using long-evolved instincts backed by science and technology. The classic California Sweet Skunk, better known as Green Crack, is now available with high CBD properties. HSO has created an elite pedigree hybrid unique among therapeutic cannabis seeds. Rapid vegetative growth displays large thin fan leaves, supported by a strong root system. Great for SCROG methods as spacing between leaves makes for ample light penetration, resulting in large elongated terminal colas, ready in just 8-9 weeks. Two noteworthy defining features are its spectacular purple, red, orange and lime-green hints, and its high oil content. Green Crack CBD features strong gassy mango and citric overtones, accompanied by pine and pepper undertones. Mild psychoactive effects are met with euphoric sensations that last for hours. 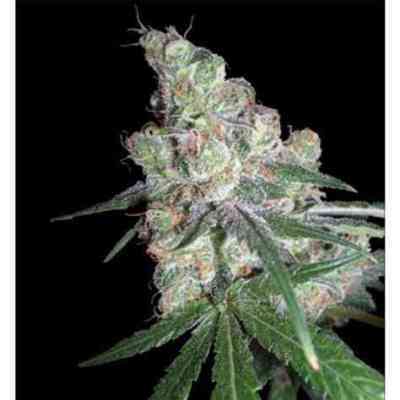 Green Crack CBD is ideal for daytime use as well as for people with low tolerance levels. HSO’s breakthrough in the realm of cannabinoid profiles has broadened the spectrum of access to this complex and dynamic plant. A new generation of collectors, growers and connoisseurs will usher in the new age of therapeutic marijuana.